Join Online Computers CEO, Carl Scalzo, for a Lunch & Learn! 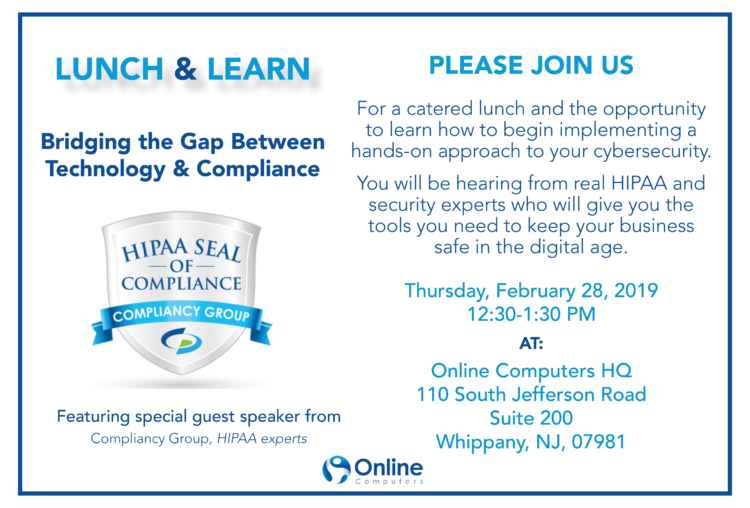 This Lunch & Learn will give you a quick and effective run-down of what you can do to start protecting your practice RIGHT NOW. 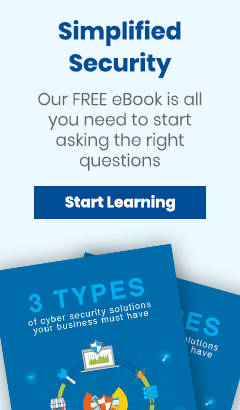 Join HIPAA and security experts and get the tools you need to keep your business safe in the digital age. Carl Scalzo, CEO, Online Computers - 25+ years of successfully integrating the most advanced, secure, and reliable technology systems for his clients. Joseph Macedo, Compliancy Group- Leading HIPAA compliance solution and has seen a huge cross-section of cyber-security offerings in healthcare.